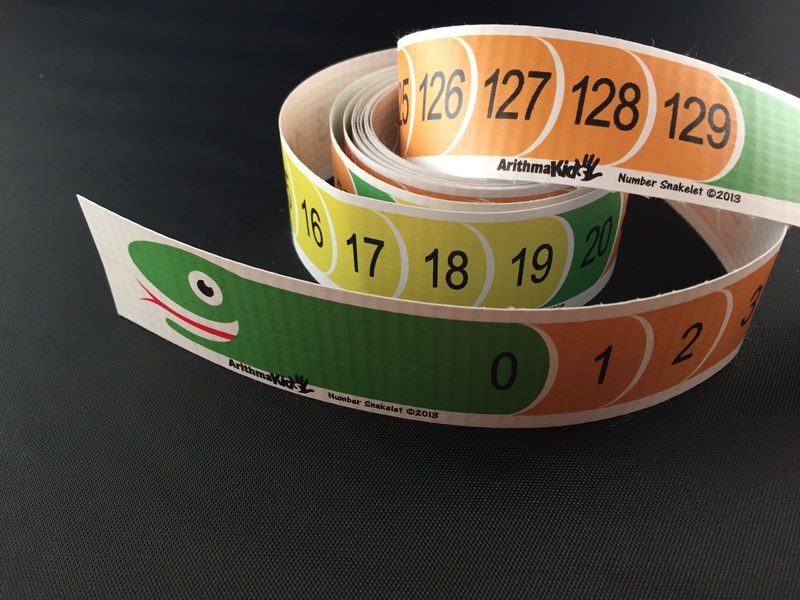 Each Snakelet is a number line with the numbers 0 to 129, per alignment with Common Core State Standards. They include directions and a place for your child or student to write their name. 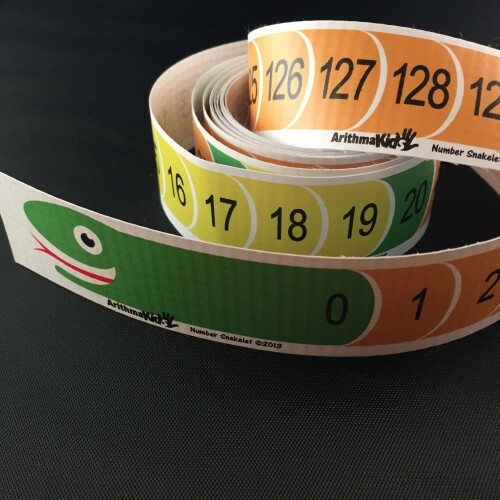 The ArithmaKids Number Snakelet is the “baby” ArithmaKids Number Snake, which was created for students to see numbers in a linear arrangement, not on a grid. The ArithmaKids Number Snake is a favorite of students and the baby Snakelet can be taken home, fit in a backpack, pocket or desk. 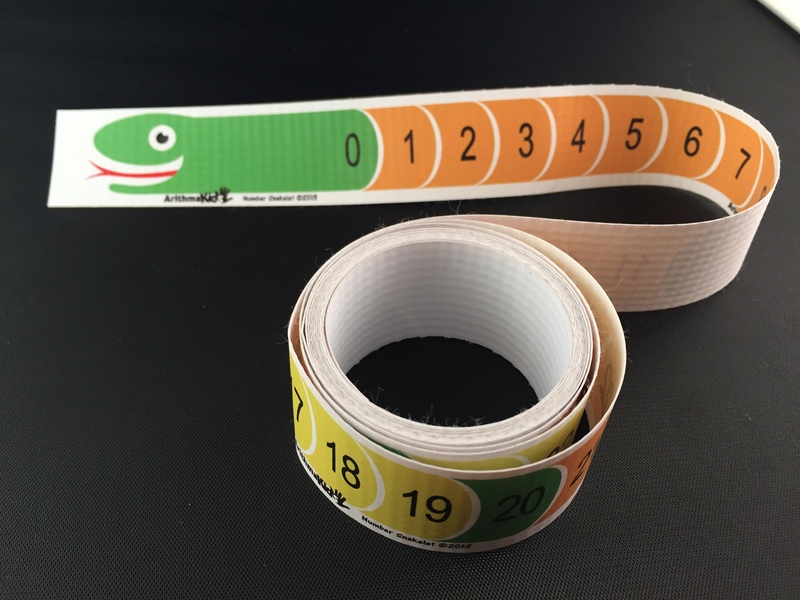 Just like the ArithmaKids Number Snake, the Snakelet is a great tool for counting forwards, backwards and number identification. The Snakelet travels easy and can be used just about anywhere that your child or student goes. Be the first to review “ArithmaKids Number Snakelet” Click here to cancel reply.